We’ve Got Your Art Class! The Berkeley Arts Council is offering a great selection of new art classes along with some favorites. 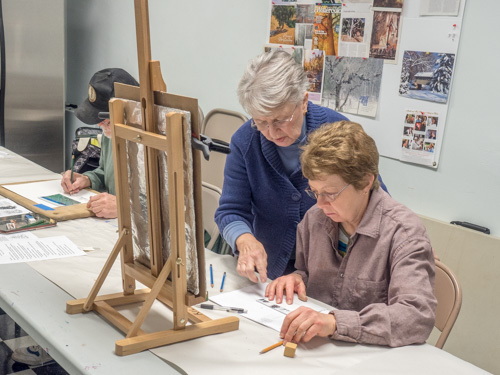 Judith Becker is back with introductory classes in pastels, wastercolor, and color pencil along with the always popular “Continuing Improvement” open studio sessions and several more specialized offerings. New Teaching Artist David Heatwole is offering classes in oil painting and other media, Bob Howard offers beginning acrylic painting, and Lori Thompson will present a new class on visual journaling. The class location is at the Berkeley Art Works, 116 North Queen Street in Martinsburg. If the registration links in the email do not work for you, please visit our web site at https://berkeleyartswv.org/instruction/. This is a a Beginning/Intermediate level class for individuals who may have wanted to paint but were not sure where to start. You will learn the basic techniques using oil paints. The instructor will take you step by step through a series of painting exercises that will build your skill level and confidence. You will also learn about the fundamentals of color mixing and application. It is advised that students take the Introduction to Oil Painting class if you are new to the medium. This class is for brushing up on the basics and on rusty skills. Explore more with color and develop your personal style. Work at your own pace with individual instruction in this open studio format class. Over 6 weeks, you’ll learn with the help of in-class demonstrations and one-on-one advice from the instructor. Bring paints, brushes and painting surface to first class. Understand more about the process of painting while developing a personal style. Work with painting medium of choice. Work at your own pace with individual instruction in this open studio format class. Over 6 weeks, you’ll learn with the help of in-class demonstrations and one-on-one advice from the instructor. Bring paints, brushes and painting surface to the first class. The Berkeley Art Works is located at 116 North Queen Street in Martinsburg. Gallery hours are Wed-Fre 11-5, Sat 11-4. Registration is open for Berkeley Arts Council’s upcoming classes and workshops, including new offerings in Oil Painting, studio-style classes, and a Printmaking workshop. Location is the Berkeley Art Works classroom at 116 North Queen Street in downtown Martinsburg. David Heatwole will be the instructor for Introduction to Oil Painting, starting August 22 for six weeks. The Wednesday morning sessions are ideal for homeschoolers from middle to high school ages. 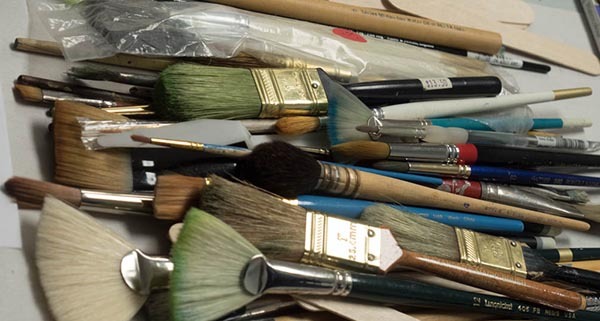 Following on Thursday mornings is an Oil Painting Studio, to encourage beginners and intermediate painters who wish to brush up or build on their painting experience. Also, intermediate and advanced painters have their opportunity on Thursday afternoons. Painters using other media can also benefit from the coaching and practice offered. On August 4, a workshop in basic Printmaking brings Bob Howard to the Art Works classroom to present and demonstrate basic techniques that produce prints using common materials. Students will produce a monoprint to take home. Hours for Saturday are 10 am to 3 pm with a lunch break. Full descriptions and online registration are available on the website: berkeleyartswv.org/instruction or in person at the Berkeley Art Works, open Wed.-Fri. 11 – 5 and Sat. 11-4. The Berkeley Arts Council has announced its schedule of fall classes to be offered at the Berkeley Art Works, 116 North Queen Street in Martinsburg. 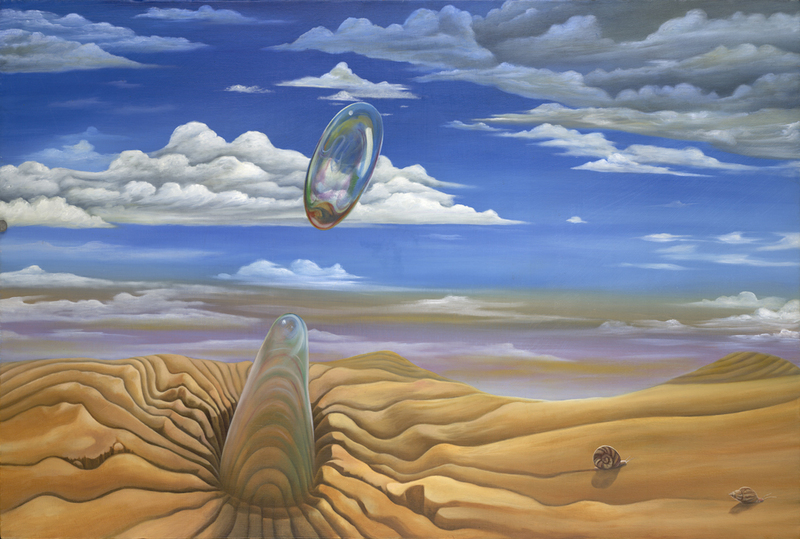 Teaching artist Judith Becker will offer a varied program of instruction in painting and drawing. Judith’s classes include “Spritzilism”, Color Theory, and Drawing. 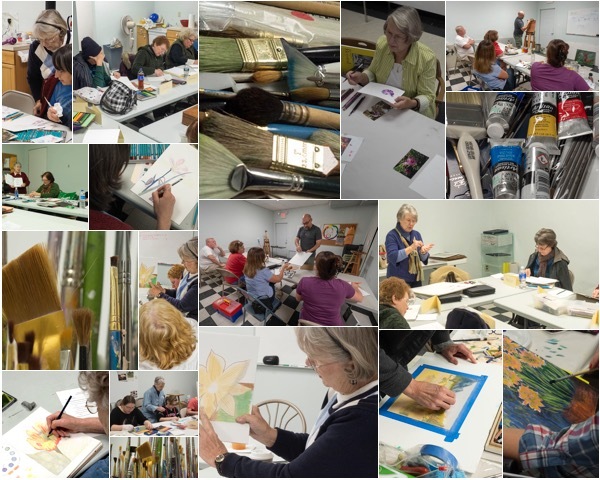 Also included are classes in color pencil and watercolor for beginners, as well as a “Continuing Art Studio” for intermediate and advance artists. All of these classes run 4 weeks and the tuition is $90. Pre-registration is required. Full details and online registration is available at berkeleyartswv.org/instruction/. 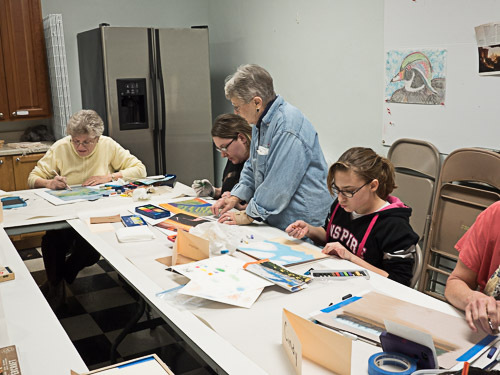 The Berkeley Arts Council announces art classes for March at the Berkeley Art Works, 116 North Queen Street in Martinsburg. Starting March 2, Teaching Artist Judith Becker will offer “Creating and Painting Still Lifes with Symbolism and Dynamic Composition”. Students will explore the limitless opportunities to create beautiful still life paintings with interesting composition and intriguing symbolism. Class is designed for intermediate to advanced students and can be worked in any 2 D medium. The classes will be held Thursdays 1-4pm, March 2, 9, 16, 23. Starting March 3, Becker will offer “Continuing Art Studio – Unlocking Creativity.” This studio class is designed for the student who has advanced beyond the beginning stage and who now wants to work at advancing in his/her chosen medium. The classes will be held Fridays 1-4pm, March 3, 10, 17, 24. Starting March 11, professional photographer David Rehor will again offer his popular course, “Taking Control of Your Digital Camera.” The digital photography workshop is designed to teach users how to customize the functions of their DSLR or mirrorless cameras and lenses. Students will learn how to navigate the camera menus and properly operate buttons and dials for optimum creative control. The classes will be held Saturdays 10am-1pm, March 11, 18, 25, and April 1. The tuition for each four week class is $90 and pre-registration is required. Space is limited. Details and online registration is available at https://berkeleyartswv.org/instruction/. Deadline for registration is three days before the start of the class. The Berkeley Arts Council’s November classes are open for registration.